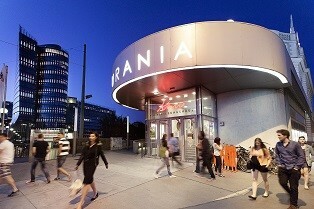 The Urania is one of Vienna’s historically most important cinemas. This Art Nouveau building on the Danube canal is a city landmark and has been used as a cinema, observatory and educational institution since the day it was built. Apart from its 269 seats across the balcony and ground floor, there are extra wide aisles between the rows (1,3 metres), a brand-new screen as well as state of the art digital equipment and sound technology in Dolby SRD. Founded in 2000, this popular premiere cinema boasts not only ten theatres and the newest in technological equipment, but is also centrally located. Its diverse programme offers great cinema for all tastes. European independent productions are featured as well as huge Hollywood blockbusters, either in their original or dubbed versions. 2018 will be the fourth time Village Cinema Wien Mitte will host the LET’S CEE Film Festival. Accessible by subway lines U3, U4 (Landstraße) or by S-Bahn S1, S2, S3, S5, S6, S7, S8, S9, S15 or by tram lines 0 or by bus 74A (Wien Mitte). 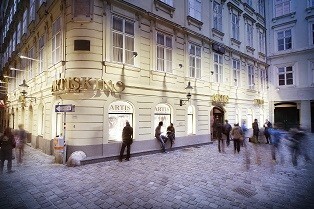 This cinema is in the heart of Vienna’s historic city centre, only a short walk from St. Stephen’s Cathedral. Named after the famous Actor’s Studio of New York, this small but fine cinema is a favourite meeting point for film enthusiasts. It appeals to an audience that prefers high-quality niche productions. 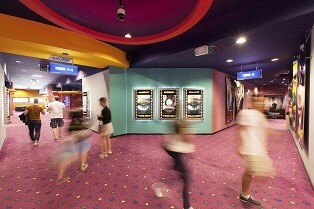 It has three spacious cinemas with 88, 71 and 62 seats each, all three of which have recently been renovated. At the Kunstsozialraum Brunnenpassage, which is located in the 16th Viennese district, people of all backgrounds are able to take part in art projects and, thus, get to know each other better. Here, with the guidance of professional artists, participants can rehearse, produce and eventually also go on stage. Participation in all events is free of charge. 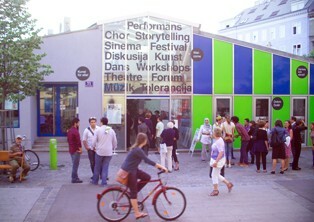 The cosy Geidorf Kunstkino in Graz will be taking part at the LET’S CEE Film Festival for the second time. The small, art-loving, independent cinema near the city park housing three halls with 185, 94 and 76 seats each can provide entertainment not only for the entire family, but for tourists and locals as well. The venue’s monthly Sunday brunch for film enthusiasts and gourmets is a delightful treat. Generally, Artis International only screens films in their original versions with or without subtitles. Located in the first district, this cinema usually attracts a very international audience. The cinema provides six auditoriums with 293, 100, 119, 95, 56 and 70 seats in a cosy red colour scheme with a comfortable atmosphere. 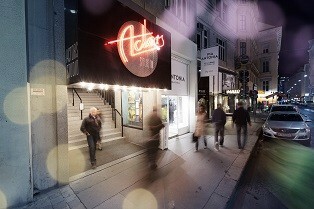 Artis International is hosting the LET’S CEE Film Festival for the third time. Accessible by subway lines U1 or U3 (Stephansplatz) or by bus (on workdays only) 1A, 2A or 3A (Hoher Markt). 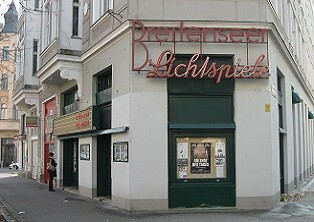 Breitenseer Lichtspiele is one of the oldest still operating cinemas in the world. 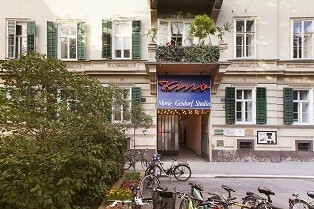 Founded in 1905 as a cinema tent and currently owned by Anita Nitsch-Fitz, the highly traditional art-house cinema offers a range of Austrian and European productions. Located in Penzing in a historic corner townhouse, BSL offers 168 seats and, for the second time, is opening its doors to the LET’S CEE Film Festival. A special highlight is the live piano accompaniment to the regular screenings of silent movies – a definite must see during the festival week. Accessible by subway line U3 (Hütteldorferstraße; exit Feilplatz), tram 49 (Reinlgasse), tram 10 (Laurentiusplatz) or with S45 (Breitensee). 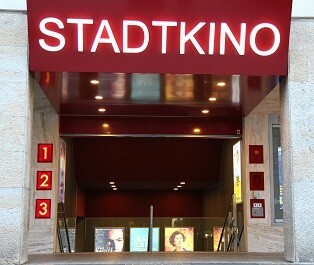 The Stadtkino Villach is one of a few art house cinemas in Carinthia which is open throughout the year. With three halls the cinema can seat up to 303, 96 and 100 people and is located next to the late Gothic church of St Jacob and the town hall. The programme’s focus lies on European cinematography, especially on Austrian productions and domestic filmmakers from Carinthia. The movies are usually presented in their original language. The trendy cocktail bar Club RED ROOM will this year serve as the second location for the after-show parties, to be found on the lower floor of the renowned Creole restaurant Comida, only a few minutes away from the centre of the festival. With a visionary and spacey atmosphere the likes of Stanley Kubrick’s classic 2001: A Space Odyssey, film guests and festival attendees alike will be able to party together to DJ Rawkat and DJ Dan B’s beats every evening from 21.00 onwards from the 19th to the 22nd of April. 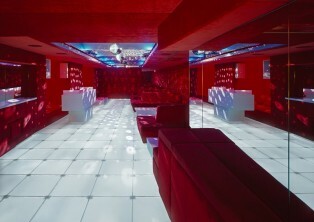 One must not forget to mention that the bar has 600 different liquors to offer, many of which are rum! The ultra-modern Cineplexx Salzburg City with its state-of-the-art technology is located close to the main train station and offers an experience of the highest standard. Beside the eight halls capable of seating up to 266, 152, 96, 266, 153, 487 and 97 people each, the venue boasts with IMAX and Real 3D screen, High Frame Rate (HFR) and 4K resolution. 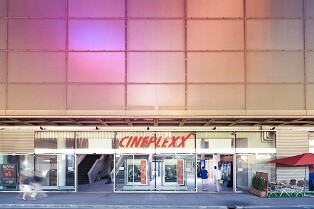 The Cineplexx Salzburg City, with its broad programme and audience, is one of the LET’S CEE venues for the first time. Back to the roots, back to Strandbar Herrmann! 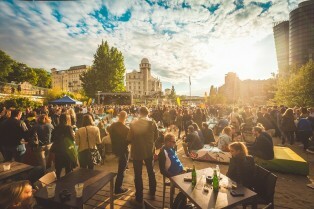 The pavilion of Standbar Hermann next to the Viennese Urania, located very close to the festival, was already during the festival’s inception in 2012 the centre of festivities. After a short break, LET’S CEE will return to Hermannpark at Obere Weißgerberstraße. From the 13th to the 18th of April, the pavilion will serve as the main meeting point in the evening, where DJ Bate Gojko’s transcontinental sounds and the VÖFS’s resident DJs’ beats will undoubtedly provide for a cool party location, if not used as chill-out lounge. At lunch time the meeting point will be a great spot for food as well.